The Standing Stone: Ardcrony Church, Co. Tipperary. 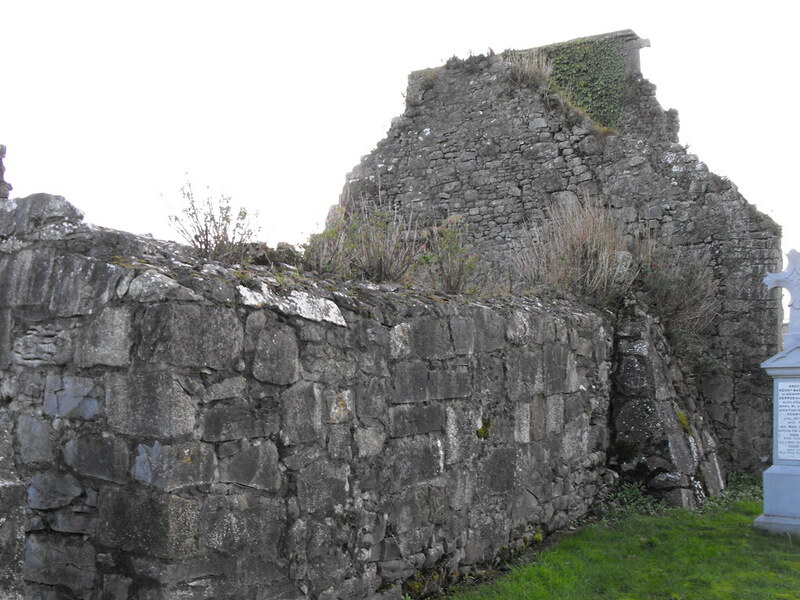 Location – In the village of Ardcrony, N of Nenagh on the N52. The church is attached to the tower. 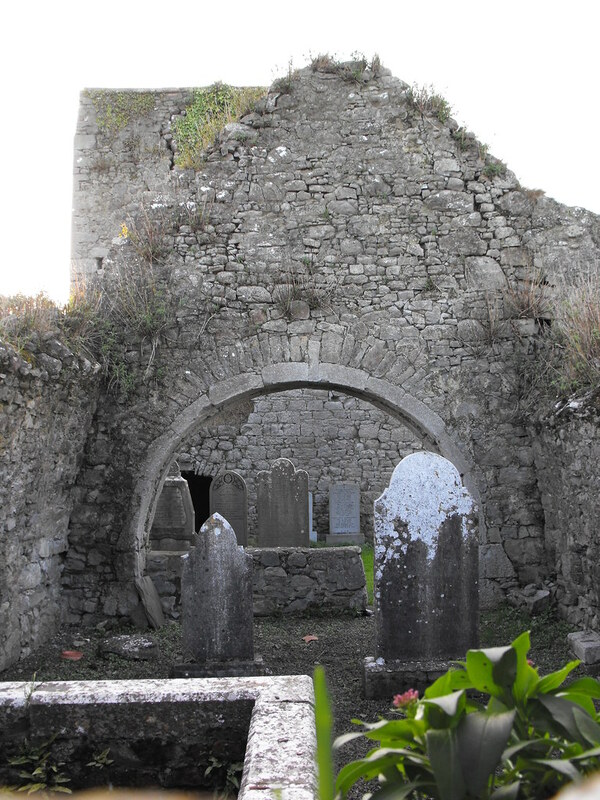 Description and History – An early Christian foundation was established here which was later patronised by the O’Hogan family. There is a reference to the site in the 1302 ecclesiastical taxation of the Diocese of Killaloe. It is also mentioned in the Royal Visitation of 1615. The present remains are multi-period with features from the 12th and 16th century. There has also been some recent reconstruction with most of the N wall of the chancel being reconstructed. The nave is roughly 10m x 8m and the chancel is roughly 7m x 8.5m. Springers on the walls indicate the church was once barrel vaulted. After visiting this site I have subsequently found out about many architectural features that I missed here so this site will have to be revisited at some point. When I visited the interior of the church was being used for storage of gardening material for the upkeep of the graveyard. This site is well worth visiting, particularly with the adjoining tower house. Difficulty – Easy to find in the village and easy to get around as it is located in a well maintained graveyard. 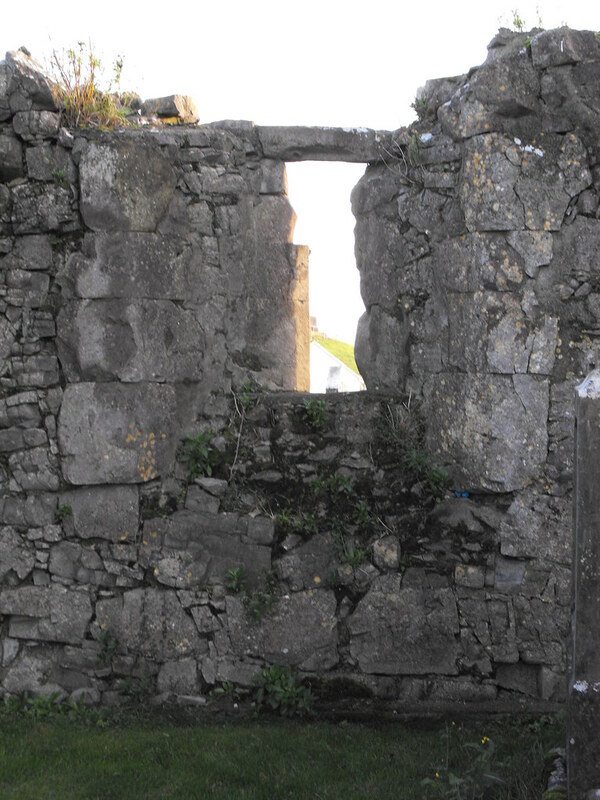 Interesting window in the wall that connects the church and tower.